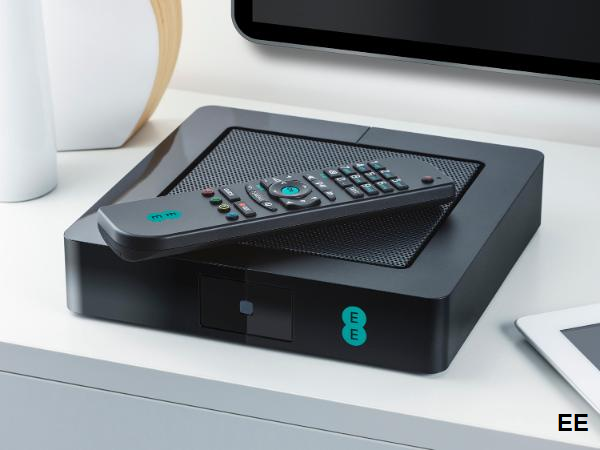 EE TV could turn out to be one of the shortest lived TV services around, as BT, which operates services on the YouView platform has agreed terms to buy EE for £12.5bn. only launched last autumn and was offered to customers with EE broadband. It offers access to Freeview HD, advanced recording facilities and smart TV apps,including catch-up TV. At present, the service remains, but it's expected that over time, as EE's products are revamped, BT TV with YouView will be pushed. In a statement issued this morning, BT confirmed that it would provide "a full range of communications services to the combined customer base. This includes BT selling its broadband, fixed telephony and pay-TV services to those EE customers who do not currently take a service from BT." Analysts expect the migration to take some time, so EE subscribers won't be switched to BT overnight. EE is currently the leading mobile network operator in the UK with 31m customers of which 24.5m are direct mobile customers and 834,000 are fixed broadband customers. It has the largest 4G customer base of any operator in Europe, but a proposed tie up between O2 and Three may challenge BT/EE's dominance. EE has been a joint venture between Deutsche Telekom and France Telecom and its creation saw the beginning of the end of the T-Mobile and Orange brands in the UK. These brands are expected to completely disappear following today's announcement. I wonder if EE (T-Mobile / Orange) will soon become BT Mobile? Makes me wonder why BT sold Cellnet in the first place (which then became O2).